Moz released their annual survey results about salaries for employees in digital marketing around the world. 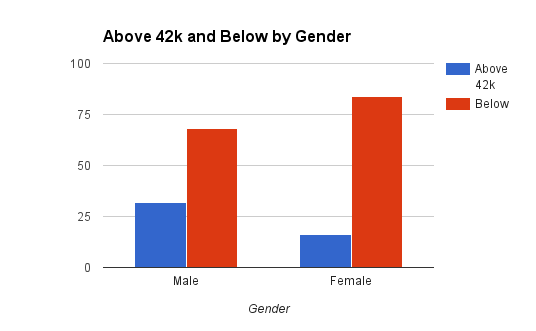 Over 3600 took part in the Moz survey and 465 were from the UK. So from the success of our previous UK online marketing salaries blog, we thought it would be a good idea to look at the UK stats, and find out the average salaries, and what are the best and the worst paid jobs in online marketing. We’ve converted the Moz data from the USD to the current rate of 0.71 in Great British Pounds. So we’ve used specific salary brackets in our stats. From the UK data, we have discovered the best and worst paid UK jobs in online marketing. These personas are based on the highest, lowest and average results from the 465 stats. 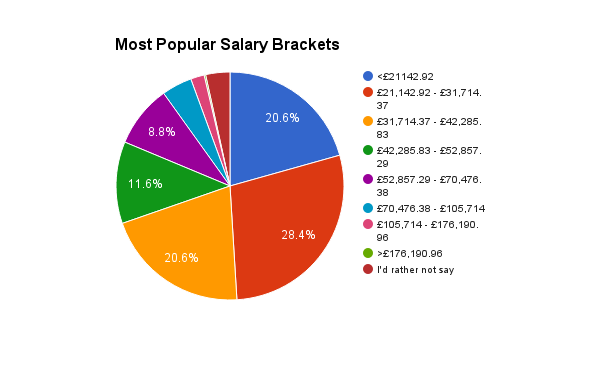 We’re looking at 465 stats from the UK and here are the most popular salary brackets. The average UK salary is currently £26,000, and from this data, about 76% of people earn a salary near or above this average. In our last review of marketing salaries 53% of people earned below £27,659.97, so we are now seeing a positive boost in the online marketing industry. 20.6% of employees earn a wage beneath £21,142.92. Looking at wages over £52,857.29, we see about 10.9% of people earning over this threshold. Just like our previous breakdown of marketing salaries, we’re breaking this data further to see the salary ranges for job areas, job levels, gender, age and experience. From this data, we have learned the average salary is £38,000. As the salary data from Moz was based on brackets, we’ve had to use the closest bracket to £38,000 which is £42,000. We’re using this financial average to get a better understanding over the data and see who fell over or below. Any answers that were left blank or was answered ‘I’d rather not say’ were removed. We see Content, Engineering, PPC and Social Media job roles are below the median salary despite being jobs that are in high demand at the moment. 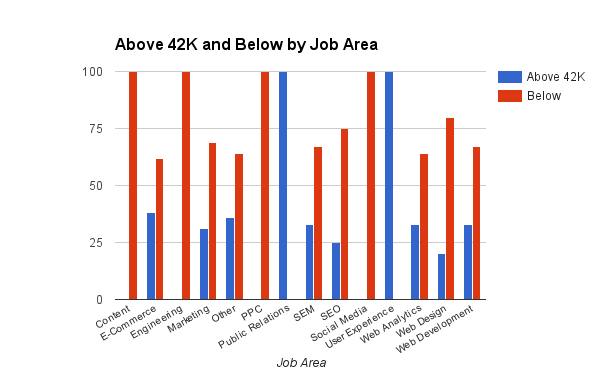 The results show the highest Job Area salaries was in User Experience and Public Relations. This result was incredible high compared to the rest of the job areas. In the survey, there were only 2 people who did User Experience and 1 person who worked in Public Relations, suggesting they are incredibly niche areas. 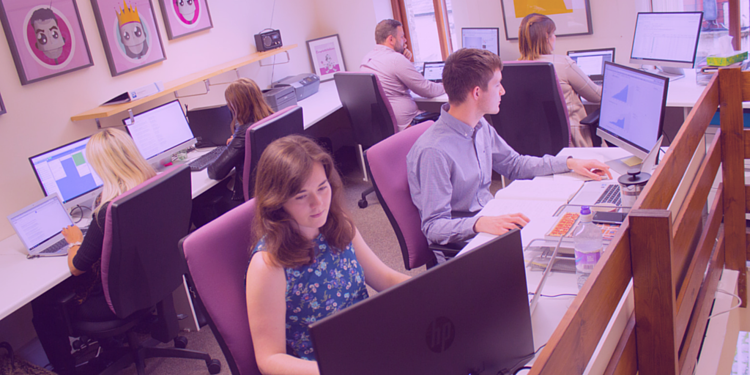 Only 25% of the SEO staff who took part in the survey had an income over £38,000. In the previous marketing salaries report, 33% working in Web Analytics were above middle salary, this amount is the same in this report. 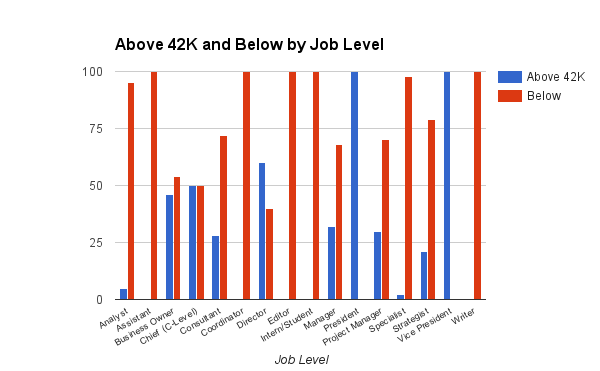 It’s not surprising the highest job roles are: President, Vice President, Director, Chief (C-Level) and Business Owner. Analysts have increased to 5% over middle salary, compared to the previous report of 0%. We can see job positions in content areas like Writer and Editor are below middle salary. Just like in last year’s results, there is double the amount of males earning above the middle salary, compared to only 16% of females. However, both figures have increased significantly compared to the previous survey. In 2014, only 19% of men earned more than the middle boundary, now it’s 32%. In the last report 7% of women earned over the middle salary, this has now more than doubled. In the last survey, the youngest respondents (under 18s) were the second highest earners but in this survey we cannot see any under 18s earning over the middle salary. 28% of 26-34s are earning an excellent income. An interesting takeaway we’ve seen is that older people are earning more in online marketing. 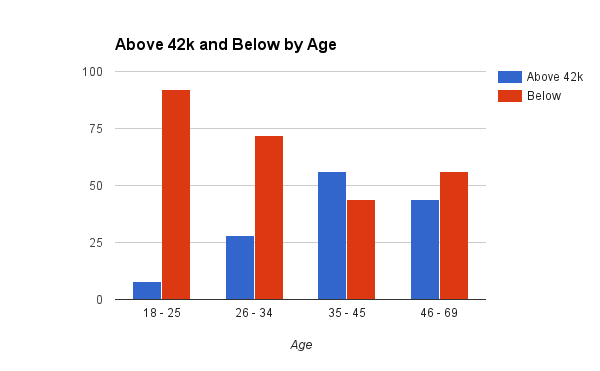 In the previous survey, it was similar comparison across all age groups. Now we see the older generation taking the reins! This report is what we expected. Respondents with higher experience are getting higher salaries too. This is an industry where experience is valuable! It’s important to see some respondents with under 2 years experience are earning over the middle salary. 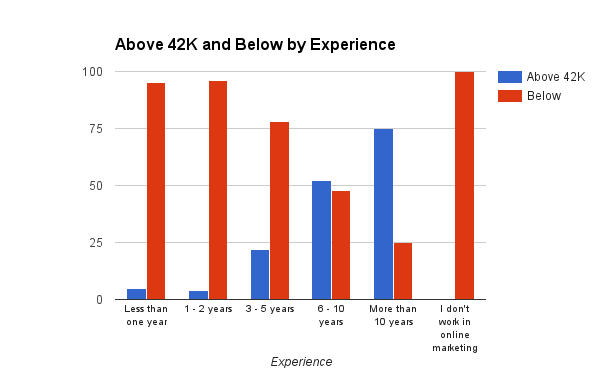 There is a noticeable gap between respondents with 2 years experience compared to 3 years, but the stats strongly suggest the more experience you have, the more you can potentially earn. In online marketing we can see the best paid positions are the top level job roles like presidents, vice presidents, directors, chief (c-levels) and business owners. For job areas, like E-Commerce, Web Development, Web Analytics, SEM, Marketing and SEO, these jobs are in high demand and with over 5 years experience, you could potentially achieve a salary reaching over the middle value of £42,000. 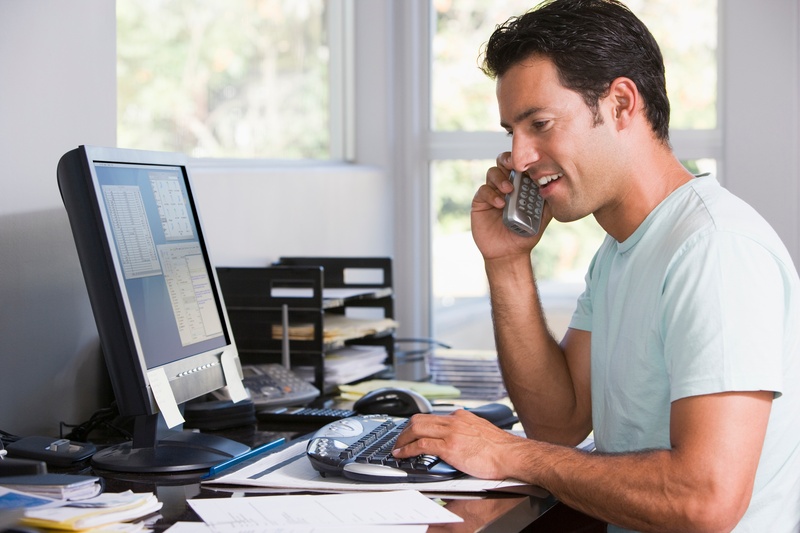 Want to boost your chances of a raise?